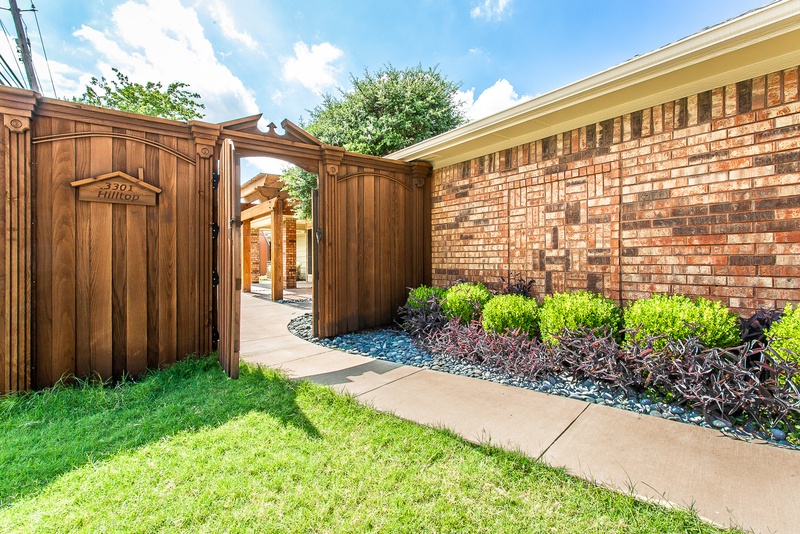 Great new listing in Plano! ADORABLE half duplex with a MASSIVE game room or 2nd living room! This amazing 3 bedroom 2 bath duplex has an amazing floor plan! With an open concept living, dining & kitchen it is a perfect home for entertaining! The expansive living room has beautiful wood paneling & a relaxing gas log fireplace. Steps away in the master retreat you have your own private bathroom with tons of counter space, a tub & a separate stand up shower! On the other side of the home you will find a completely finished out room (that would’ve been the garage) that would make an awesome family room or game room! With 2 storage sheds in the back yard storage will never be an issue! Awesome new gazebo & privacy fence finish out the back!